Cacti are popular plants that are grown in many countries. 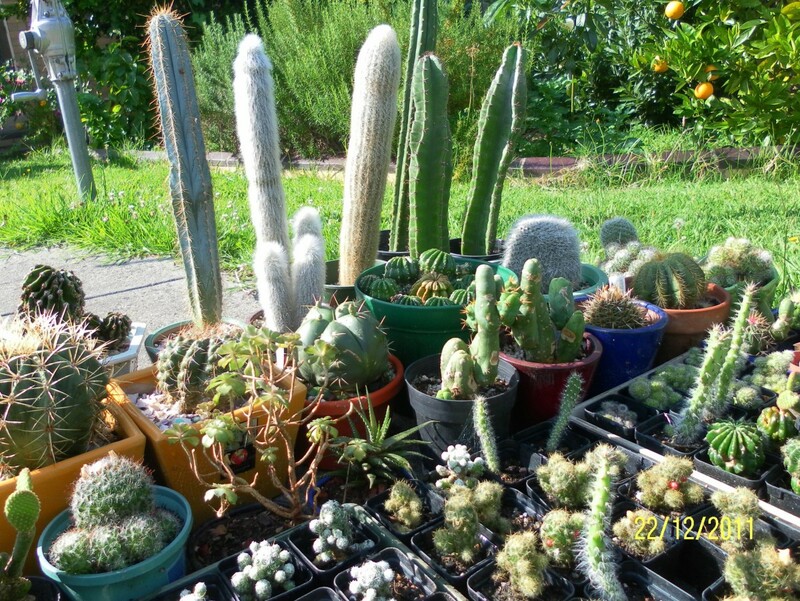 There are many collectors of cacti all over the world. 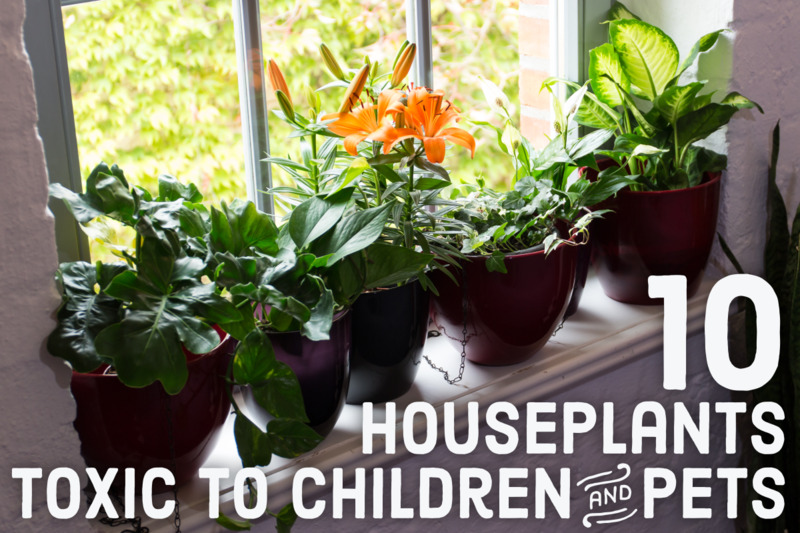 These hardy plants can be grown indoors, outdoors, in greenhouses, and under glass. They are relatively easy to grow when conditions are right. People often say, "You can never kill a cactus plant," and that is true if the cultivation conditions are right. I have known people who had killed heaps of cactus plants despite all the tender loving care they gave looking after those plants. That also includes myself, even though I have successfully nurtured hundreds of cacti all my life. Sometimes, plants just succumb or give up when only one condition does not suit them. Most cactus plants grow best in containers. Small plastic and ceramic pots are suitable for small plants. Shallow containers are suitable for large clumping plants which spread sideways. Plants with long taproots may prefer to be planted in long toms. Larger cacti require full-depth pots with good drainage. Larger containers take much longer to dry out between watering than smaller containers. Life is like a cactus: full of pricks but also very beautiful. Click on the link in the table of contents below to go to the following topics. 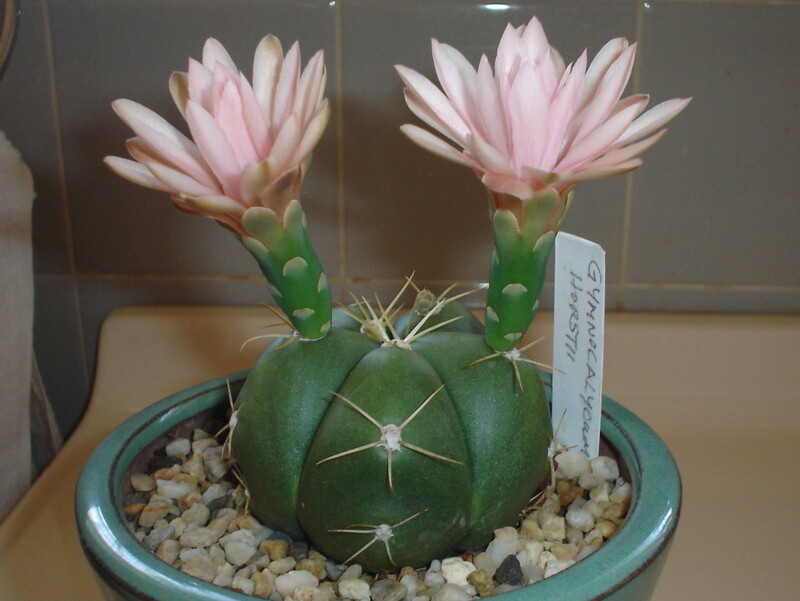 Cacti can be grown in peat-based composts and soil-based composts. 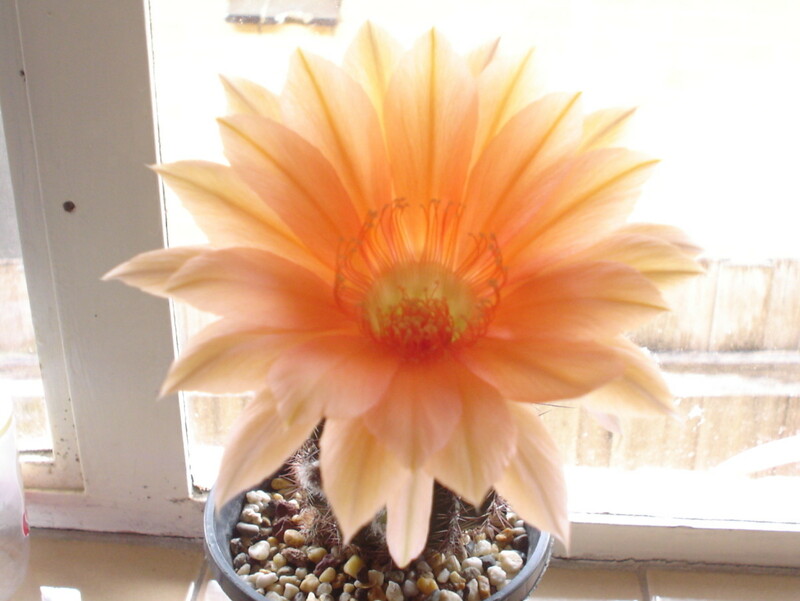 Peat-based soils are suitable for epiphytic cacti like Epiphyllums and Schlumbergeras. 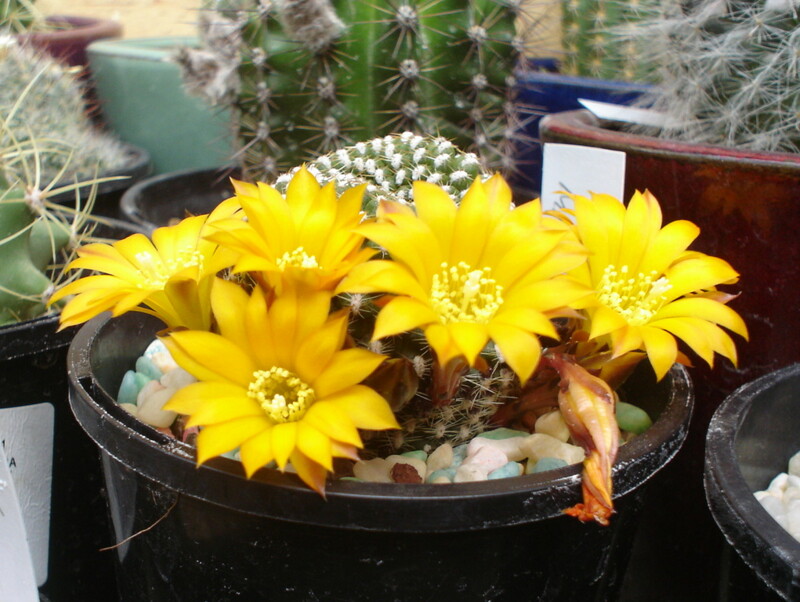 Other cacti prefer soil-based composts which are mixed with coarse sand and gravel to produce a free-draining mix. 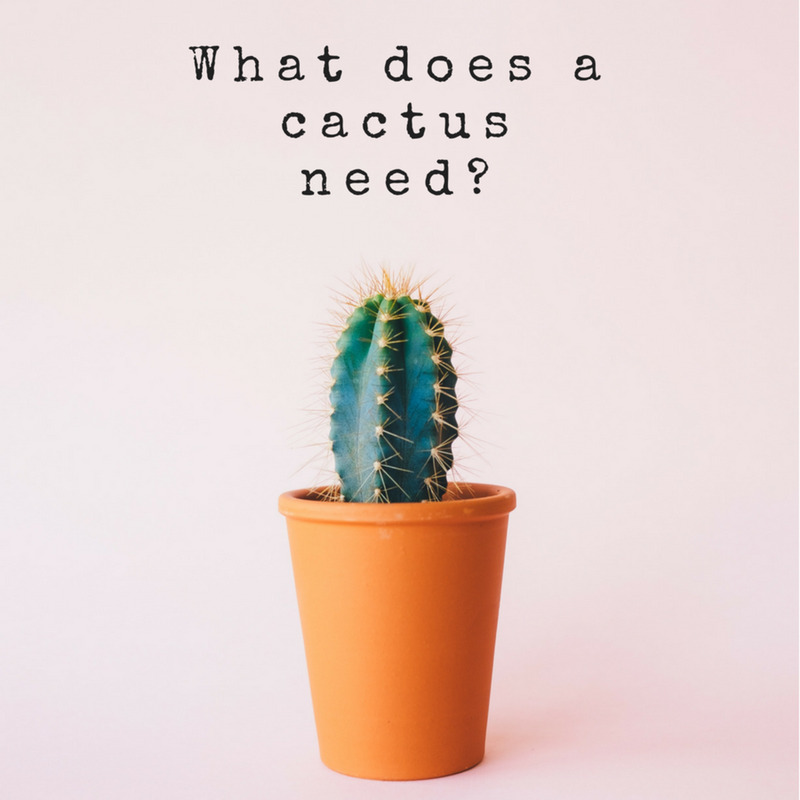 As a rule of the thumb, cacti are likely to survive in well-drained soil than waterlogged medium. Ground pumice and perlite are also used in soil-based composts. Slow-release fertilisers are added to the compost for the plants to absorb slowly for up to 18 months. 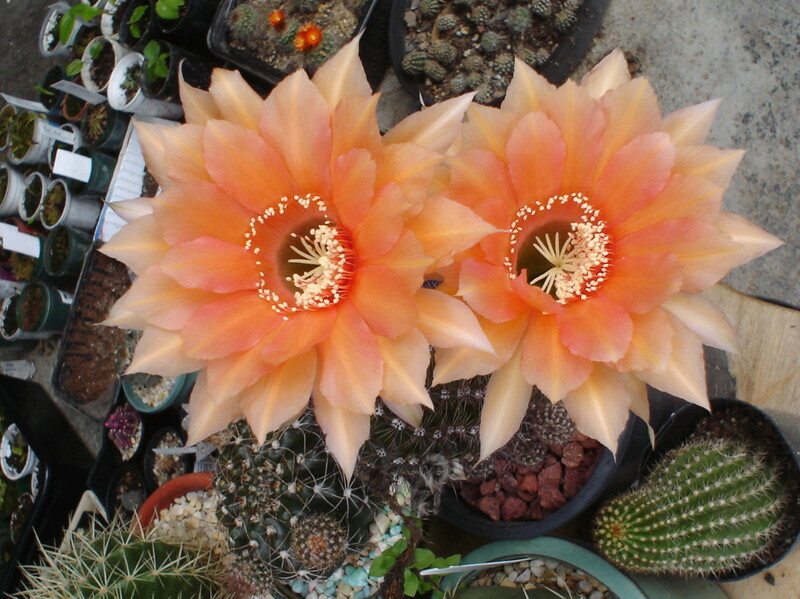 Most cactus plants are happy to be planted in the same container for many years. Cactus plants are best left to almost dry out completely between waterings. 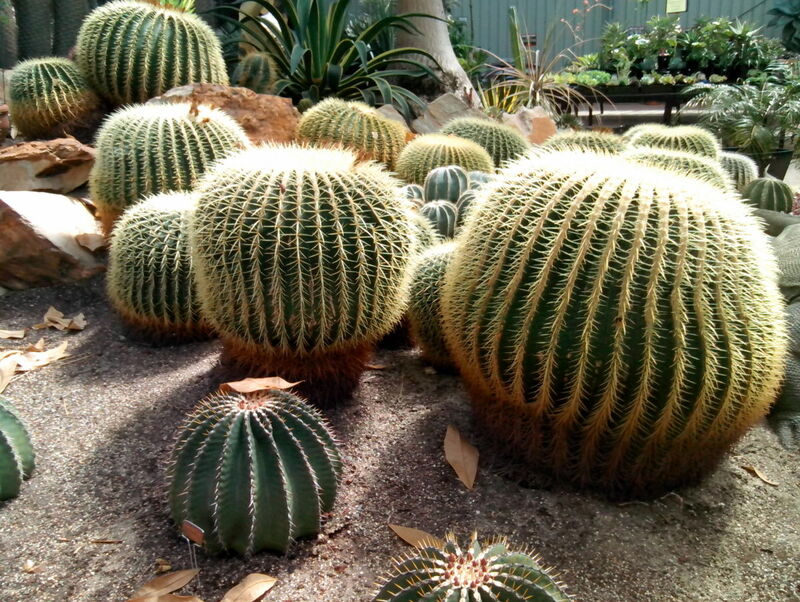 Always remember that most cacti are found in natural desert environment where water is scarce and infrequent. It is still preferable to give a cactus plant less water than to overwater it. However, the different conditions need to be considered when watering these plants. Plants in smaller pots should be watered more frequently as they tend to dry out faster than larger ones. 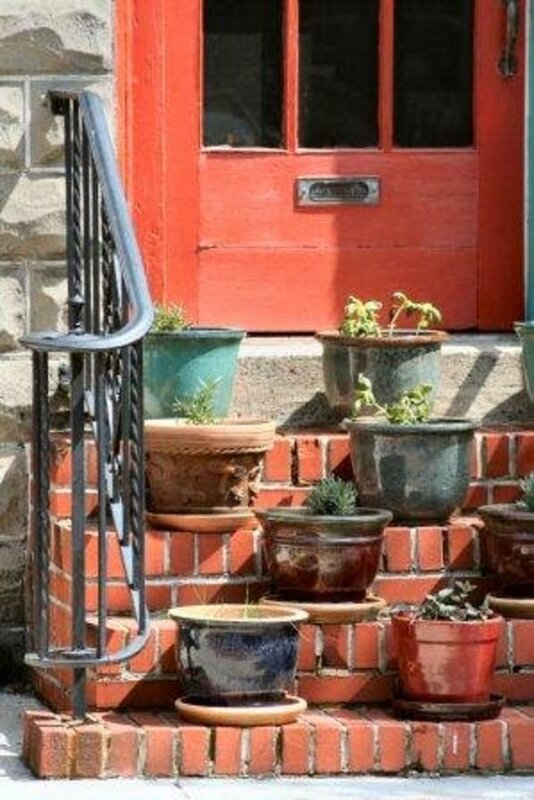 Porous pots like terracotta tend to dry out more quickly than plastic or glazed pots. Plants grown in hot areas with low humidity dry out more quickly than plants grown in humid areas. Plants grown in cold countries do not need to be watered frequently in winter because the plants tend to go dormant in cold temperatures. Most plants, if not all, thrive when there is light. Cacti are no different from other plants. Eventhough they might go through a period of dormancy in winter, they still need light to survive and grow. 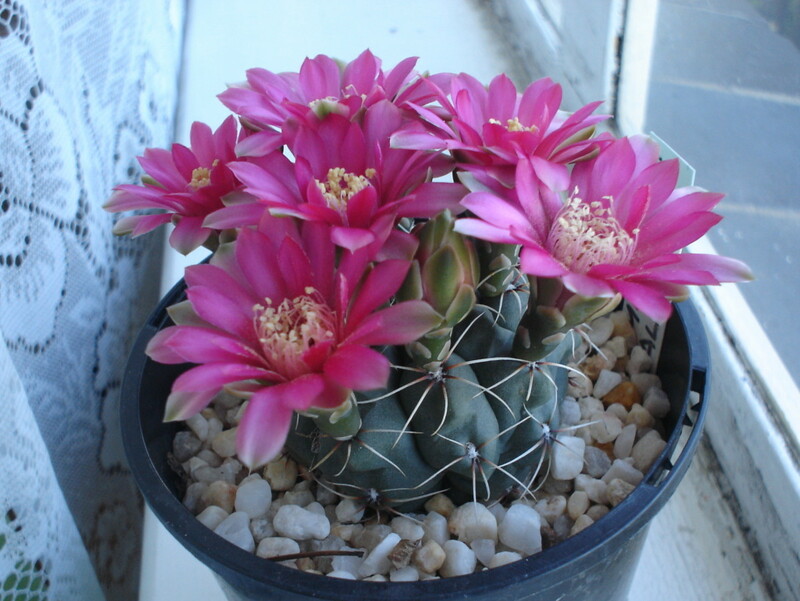 Potted cacti do best when they are exposed to sunlight for several hours per day. Most plants are fine with direct sunlight but some do suffer sunburnt in extreme hot weather. Dark patches start to form on the surface of the areas exposed to the sun. Sometimes, the plants continue to survive with scars but other times, the damaged areas start to rot and kill the whole plant. 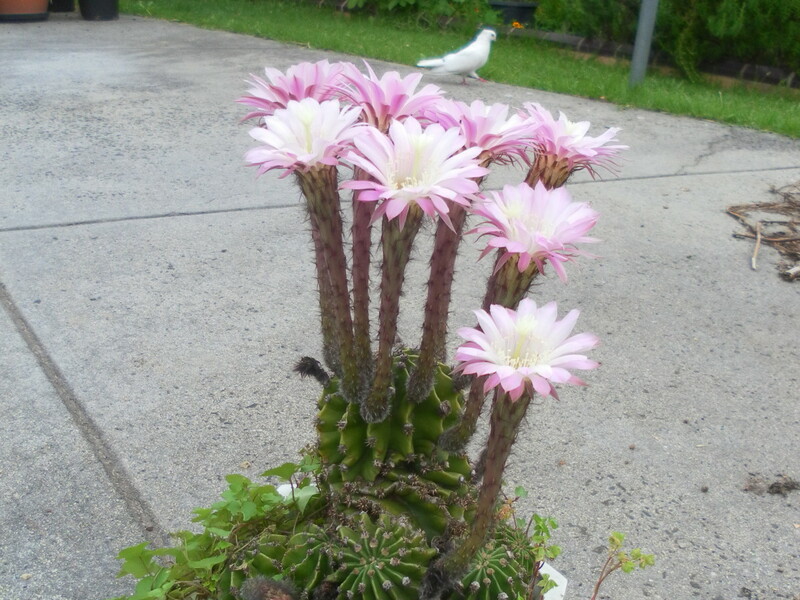 Cacti grow very slowly and only need to be repotted every two to three years. When the plant has outgrown its container or the clumps look a bit overcrowded, it is time to repot to another bigger container. Remove some of the old soil and transfer your plant to a bigger pot with new potting medium. Sometimes, some of the stray roots can be trimmed off a little bit. The main root ball of the cactus should be left as it is. Watch out for spines when handling the plant. 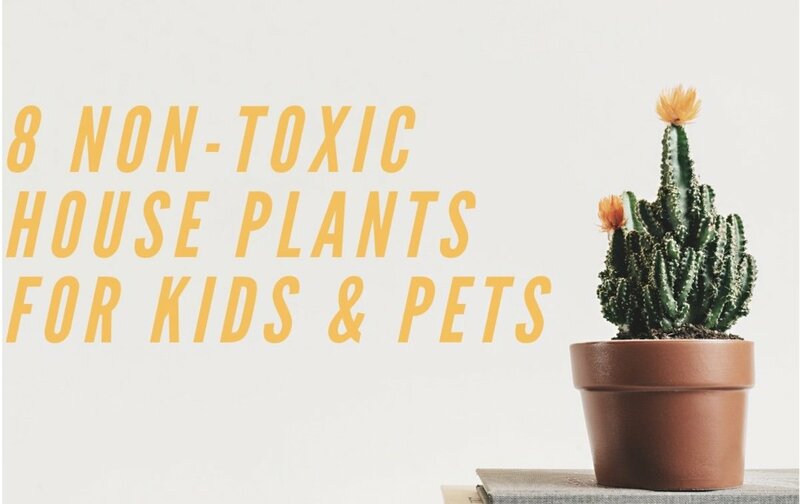 Use gloves and tongs when handling cacti plants. There are three ways to propagate cactus plants - seeds, cuttings and grafting. 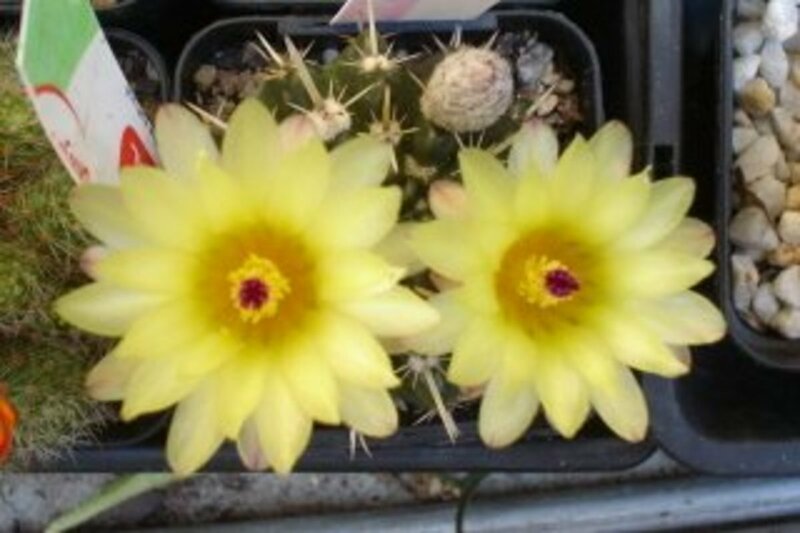 Cactus seeds are available from many specialist suppliers. To germinate cactus seeds, sow the seeds thinly on the surface of the cacti compost and then cover the seeds with a thin layer of grit. 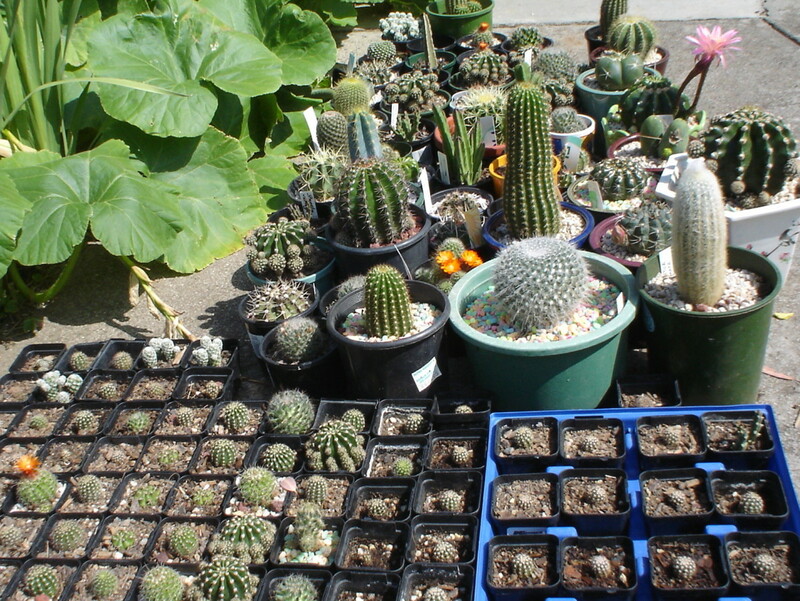 Remeber to label the containers if you are growing different varieties of cacti. The optimum temperature for seed germination is around 21°C. It is necessary to maintain a fairly humid atmosphere for the seeds to germinate. The best way is to cover the pots with plastic bags or sheets of glass. Once germinated, the seedlings can be exposed to more light and air but they have to be kept moist at all times. Cacti propagate readily by cuttings. 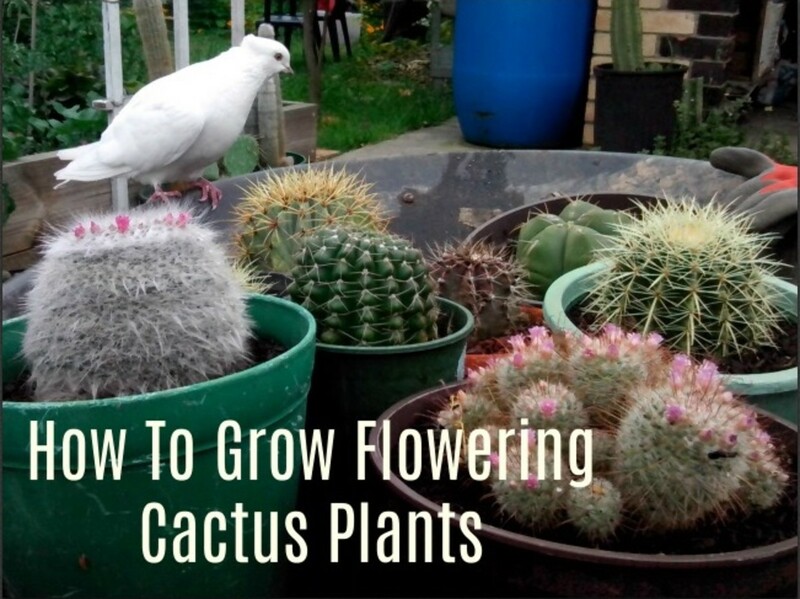 This method is easier than the above when propagating cacti plants. 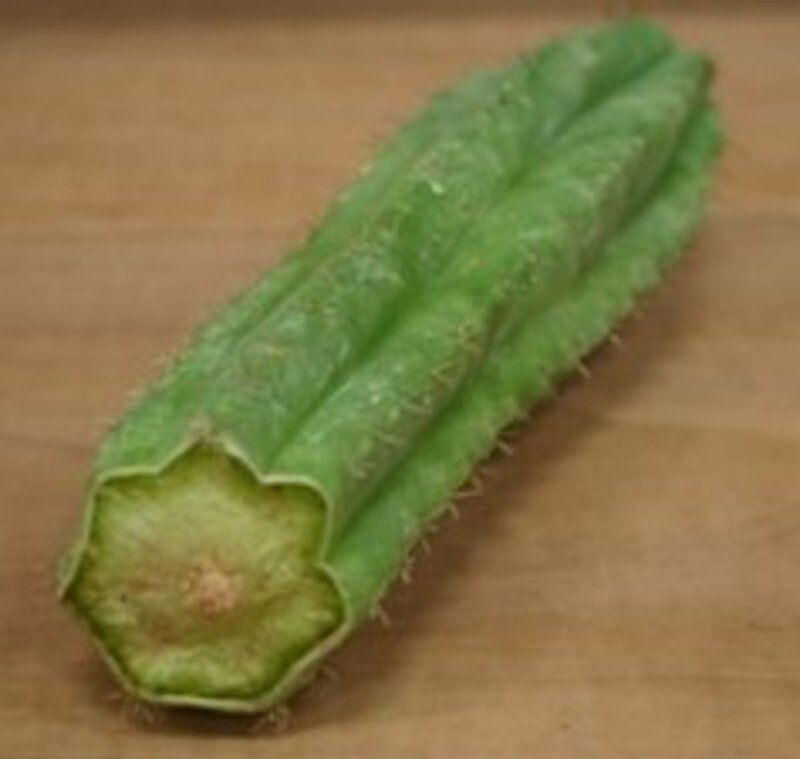 Use a sharp knife to cut a piece of the cactus for propagating. It is important to keep the cut surface of the cutting clean. The cutting also needs to be left in the shade for three to four days to allow a dry callous to form over the cut area. Once the callous has formed the cutting can be planted into moist well-drained soil. Rooting powder is not really necessary for propagating cuttings but it may be helpful. It may take several weeks or months before the roots appear. Do not water the newly planted cuttings until they start to form roots. Another way of propagating cacti is by grafting. This method is usually used on cacti species that are difficult to propagate or weak growing species. A vigorous rootstock is required for this grafting method. The cutting is placed on top of the rootstock and then secured with rubber bands. This grafted plant is then left in a warm place out of direct sunlight for several weeks. The rootstock helps to provide nutrients to the cutting that is attached on top and keeps it alive. Below are some quick and easy tips on how to look after a cactus plant. 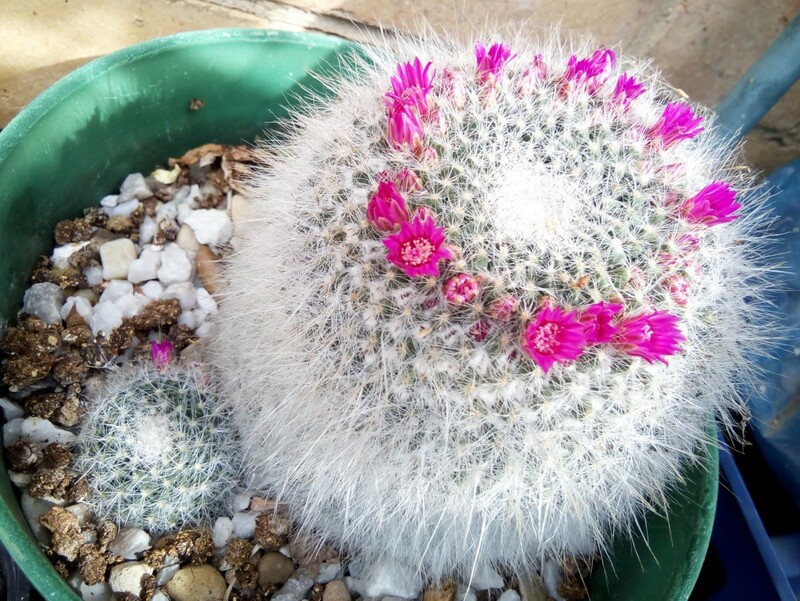 Follow the guidelines and you will be rewarded with blooming flowers from your cacti collection every year. Use a good quality cacti/succulent potting mix. Water the plant thoroughly when it is watering time. Do not overwater or allow plant to stand in water. Have sufficient sunlight for your plant. 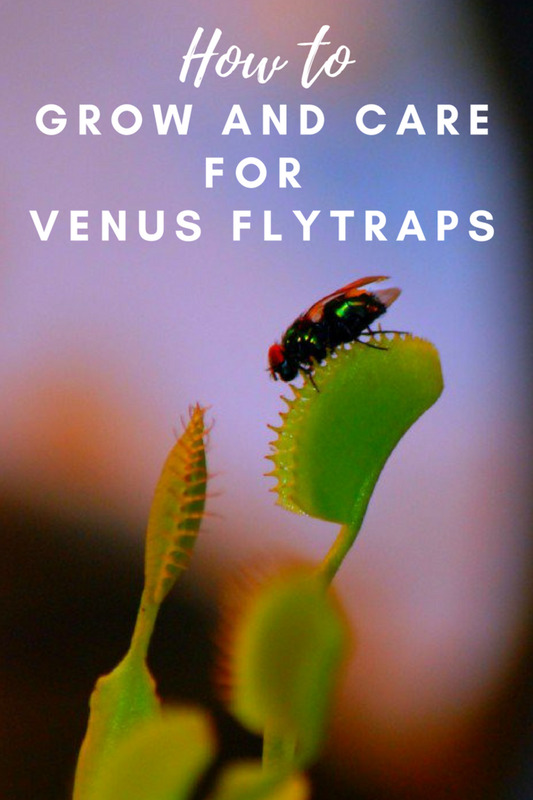 Place your plant in a well ventilated area. Let the soil dry up before the next watering. Feed with mild liquid fertiliser during growing season. Minimal or avoid watering when plant is dormant in winter. Pot up every 2-3 years depending on growth. Thorny on the outside, soft on the inside. I have a cactus with more than thirty babies, should I separate them from the mother? If yes, when is the right time for doing it? 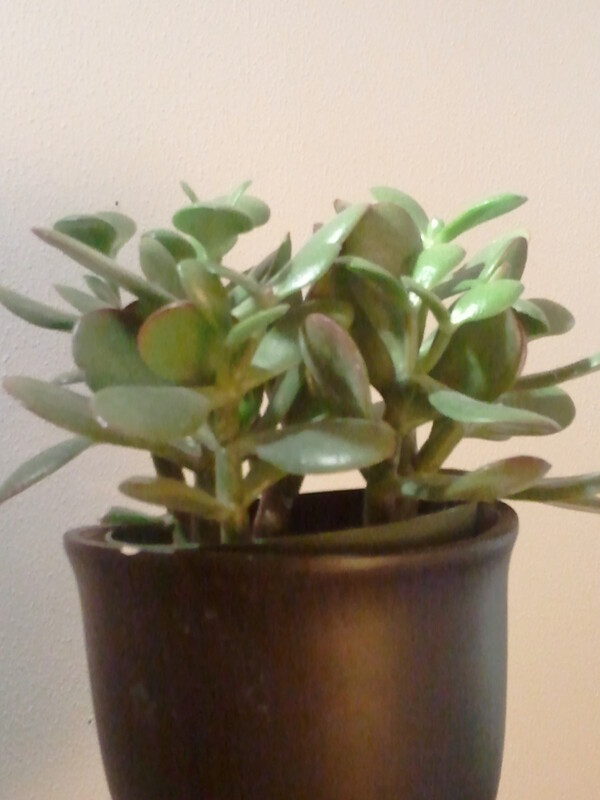 I potted the plant one year ago can I repot the mother after tool out the babies. 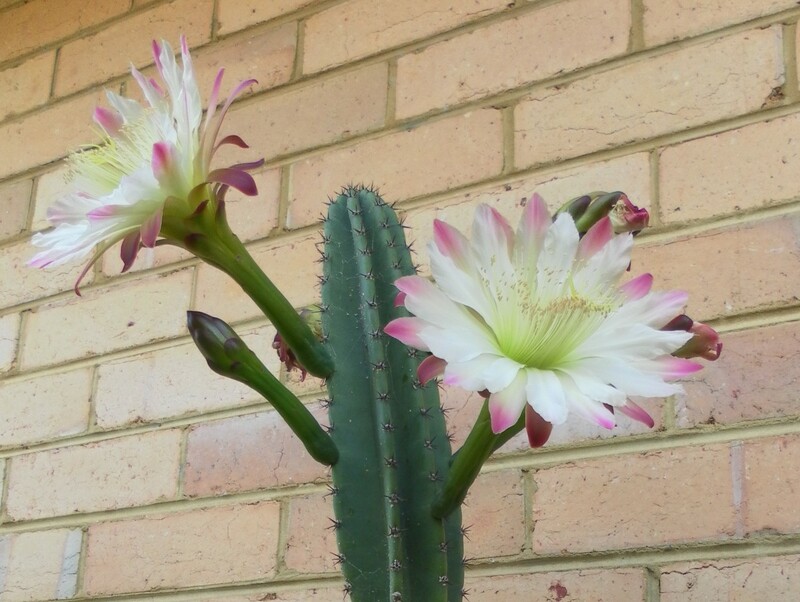 Should the spent cactus flowers be cut or left to dry? It is best to leave the spent flowers on the plant for several weeks. Most mature plants produce seeds that can be sown for seedlings. 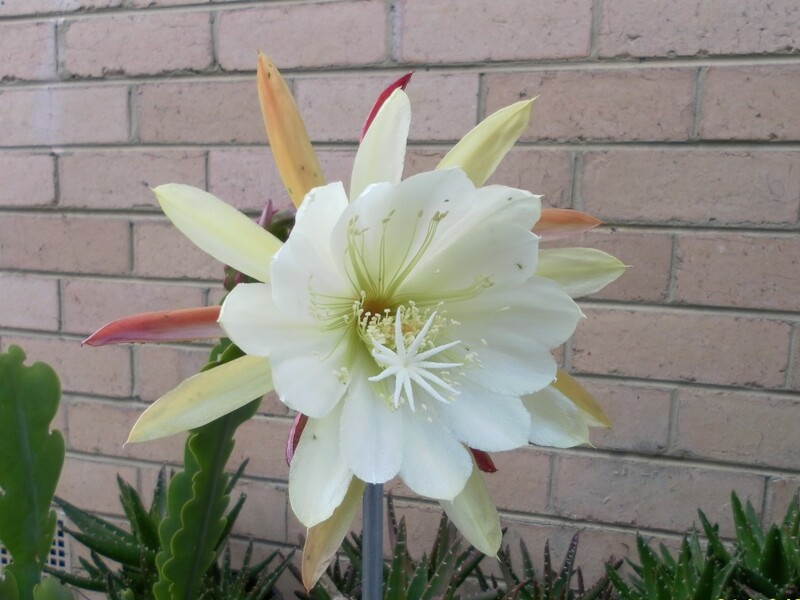 What is the best time to pollinate day flowering cactus? 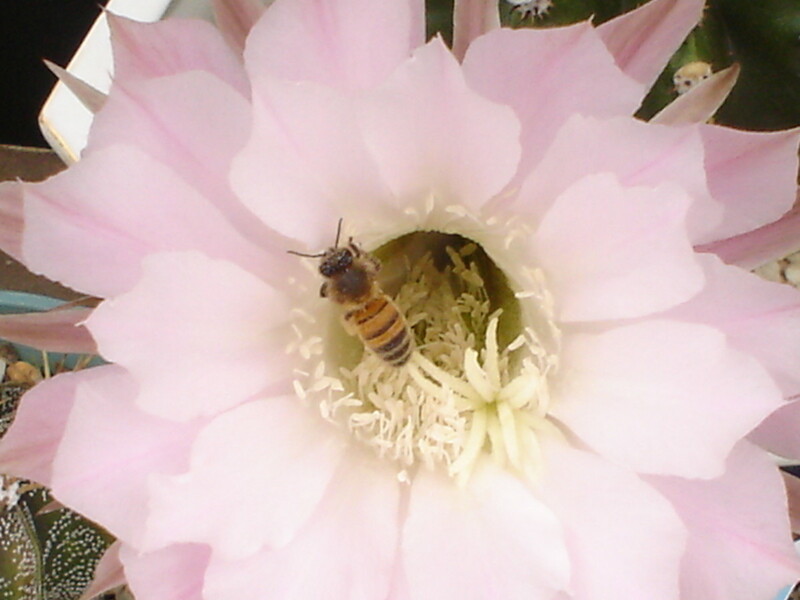 The best time to pollinate a cactus flower by hand is when the flower stigma is fully open to receive the pollens. Can rebutia grow in a hot tropical climate like Kolkata where temperatures can get up to 40 degrees centigrade and night temps can stay above 27 degrees day after day? Yes, rebutia can grow in a tropical climate, but it is best to protect the plant and put it in a shaded area during the day to prevent sunburns that will cause permanent damage to the plant. How do I start a new cactus from the mother? Remove the offset from the mother plant and put it in a pot with cactus potting mix. How Often Do You Water a Cactus?